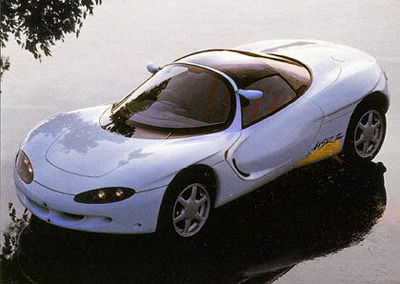 The Mitsubishi HSR III concept which was introduced in 1991 was the third in a line of HSR (Highly Sophisticated-transport Research) concepts produced by Mitsubishi in the 80s and 90s. The HSR III - like many Mitsubishi vehicles - was packed full of clever electronic systems which could manage everything from the suspension settings, to the traction control for the AWD system. 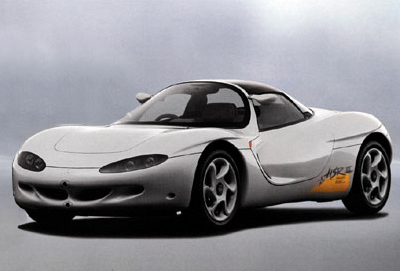 Powering the HSR III concept was a twin-cam, 1.6 litre V6 which produced 177 horsepower. The transmission was controlled by two levers located on the steering wheel. The vehicle featured both an AWD layout, and an all-wheel-steering system. While the HSR III never directly spawned a production model, some of the styling elements can be seen in the Mitsubishi Eclipse.